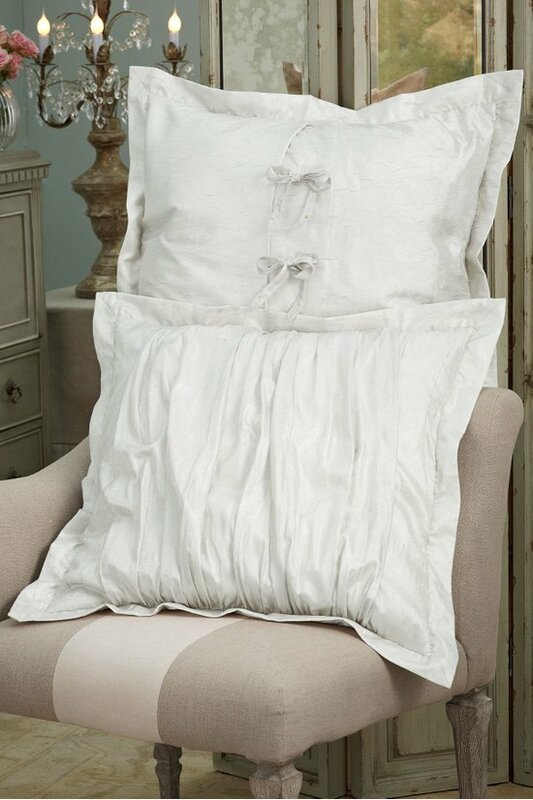 The silky, billowing fabric of this luxurious sham suggests romantic nights in distant lands. The Euro sham is ruched and finished with a 2" flange. Poly with cotton blend lining.